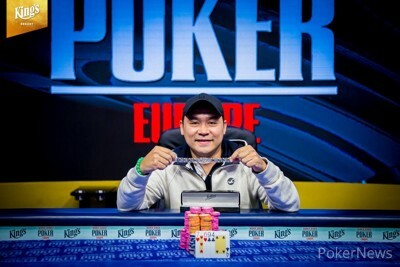 Hanh Tran has won his second WSOP bracelet of the year in Event #3: €550 Pot-Limit Omaha 8-Handed! At the final table, Tran defeated Oleg Pavlyuchuk heads-up to win €59,625 and the coveted prize. Romain Lewis of France finished in third place. 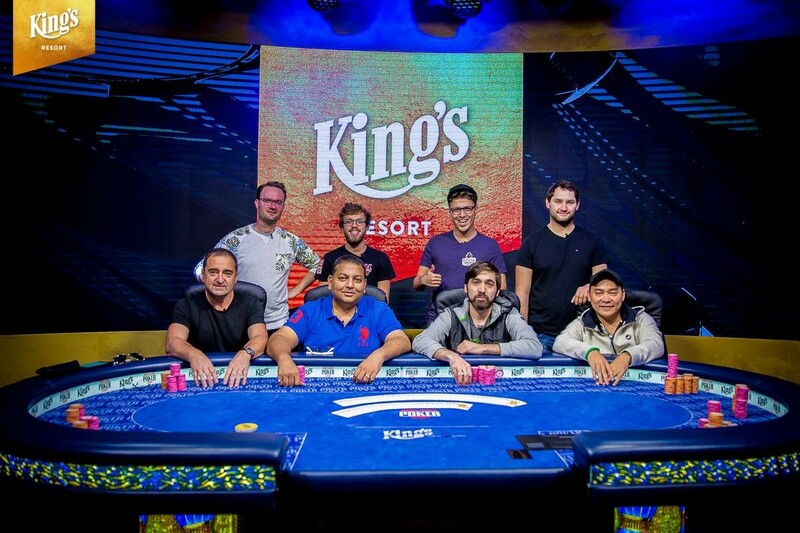 Florian Sarnow, second in last night's Turbo Bounty Hunter, was the first to leave the final table in eight place. “I’m just here for vacation, have fun with my friends, and party!” said Tran this summer, back when he won his first WSOP gold bracelet in Event #29: $1,500 2-7 Triple Draw. The easy-going nature of the Austrian hasn't changed one bit and today, the same calm stood out as he claimed another career-defining win. "I know if I would double-up, I could beat him," Tran explained. "I'm experienced with being the underdog: in Vegas, I was a huge underdog too." Despite winning two WSOP bracelets in the span of four months, don't call him a tournament player. Tran is still first and foremost a cash gamer. "Tournaments are only for fun or wasting time," he grinned. While Tran might be keeping up appearances as a cash game player, his second taste of bracelet gold has left him hungry for more. He's eyeing the €2,200 Pot-Limit Omaha bracelet event, that starts in a few days, and the Main Event might be on tap too. "Now, I want a third bracelet. I'm going to play more," he admitted. Perhaps there's a tournament player hidden in Tran after all. 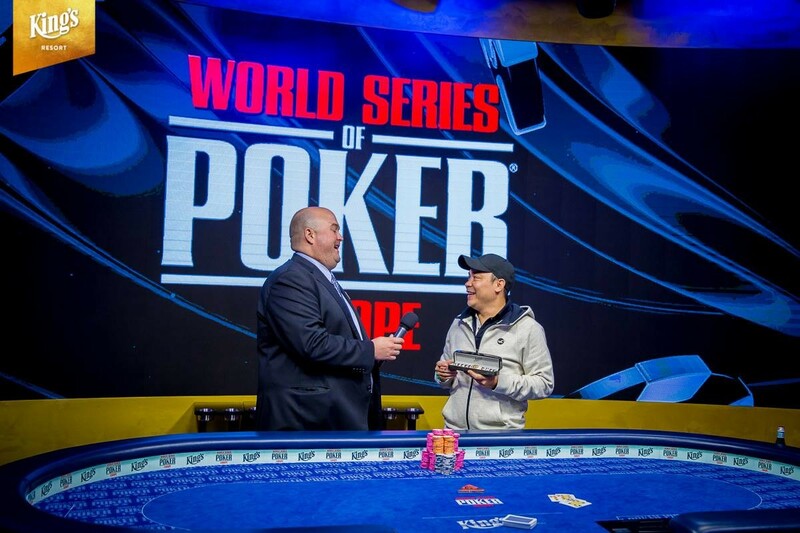 And if he, in spite of his accomplishments, still considers tournaments "just for fun", winning multiple WSOP gold bracelets seems the perfect way to go at it. Tran was driven to perform in this tournament, due to a promise he made to a friend of him: Andreas Klatt. Klatt won this very tournament at the 2017 WSOP Europe but couldn't make it this year. Tran had to step up to keep the bracelet streak within the group of friends going. "I told him from the beginning: if you're not coming, I have to win it for you. And I did! That's funny," he laughed. 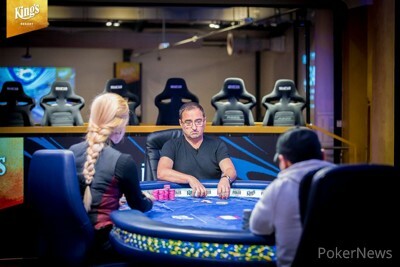 Earlier this day, at 5:30 a.m. to be precise, Sarnow was eliminated in second place in the single day €1,100 Turbo Bounty Hunter and narrowly missed out on a bracelet. He would get a second shot in Pot-Limit Omaha a few hours later, but that attempt lasted only for two hands. In the first hand, Sarnow lost a chunk to Hanh Tran, then dropped the rest to Oleg Pavlyuchuk. The popular Michael Magalashvili had many on the rail rooting for him, but the last Israeli standing couldn't do what two of his fellow countrymen did in the days before: win a bracelet. Short stacked, Magalashvili stuck it in with an ace-king-jack-five against Sebastian Obermeier, who turned top set with his kings to end the Israeli in seventh. Manish Goenka and Tarek Sleiman quickly followed Magalashvili out the door. True to the spirit of 'The Great Game', as Pot-Limit Omaha is affectionally known, Sleiman ran a big blocker bluff but walked right into Pavlyuchuk's nut straight to be left with crumbs. Oleg Pavlyuchuk finished in second place. Four-handed play lasted for a bit and it was during that time that Pavlyuchuk made a huge fold. 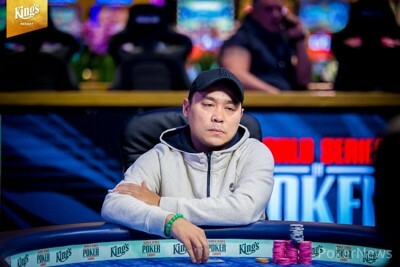 On a flop with two queens and two spades, Pavlyuchuk had flopped an open-ended straight flush draw and wrap, but once put to the test by Tran he decided to lay down the monster draw. Tran had a queen and would've flipped against Pavlyuchuk's hand but, had the Latvian called, the outcome of the tournament would've possibly been much different. 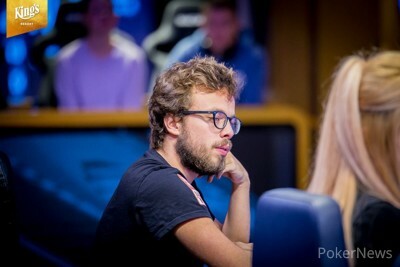 Sebastian Obermeier was ultimately the one to finish in fourth place and lost his chips to Romain Lewis, who grabbed the chip lead shortly after. However, stacks were extremely shallow at this point and Pavlyuchuk was able to climb back up and eliminate Lewis in two hands. 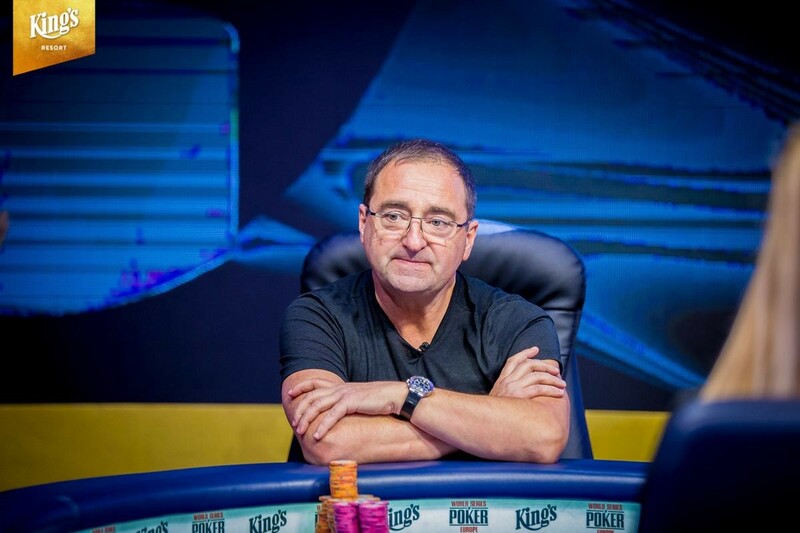 In the first, Pavlyuchuk held up with aces in a three-bet pot against a flush draw, then Lewis jammed everything he had into Pavlyuchuk's rivered full house to bust in third. That's it for PokerNews for Event #3. Live coverage will be on the floor right up until the end on November 2 with start-to-finish coverage of the six remaining bracelet events so check back regularly for all live updates from King's Casino in Rozvadov! After doubling up twice earlier, the third all-in confrontation between Oleg Pavlyuchuk and Hanh Tran was the first time Pavlyuchuk was at risk. 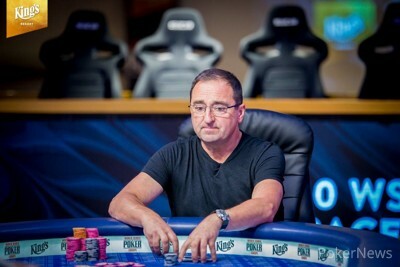 Pavlyuchuk started the hand with slightly under three million when all the chips flew in on a flop. Tran had outflopped Pavlyuchuk and had the lead with two pair. The on the turn brought Tran one card closer to winning his second WSOP bracelet of the year, and he clinched it on the river. Tran cheered and celebrated with his friends on the rail. Pavlyuchuk's run ended in second place, worth a massive payday of €36,851. Hanh Tran raised it up on the button with and Oleg Pavlyuchuk called in the big blind holding . The flop came and Pavlyuchuk checked to Tran who bet 1,440,000 with three pair. Pavlyuchuk called and the paired the board on the turn. Both players checked and the completed the board on the river. Pavlyuchuk checked again and Tran pushed all in for 2,780,000 with his full house. Pavlyuchuk quickly mucked his hand and Tran took over the chip lead. 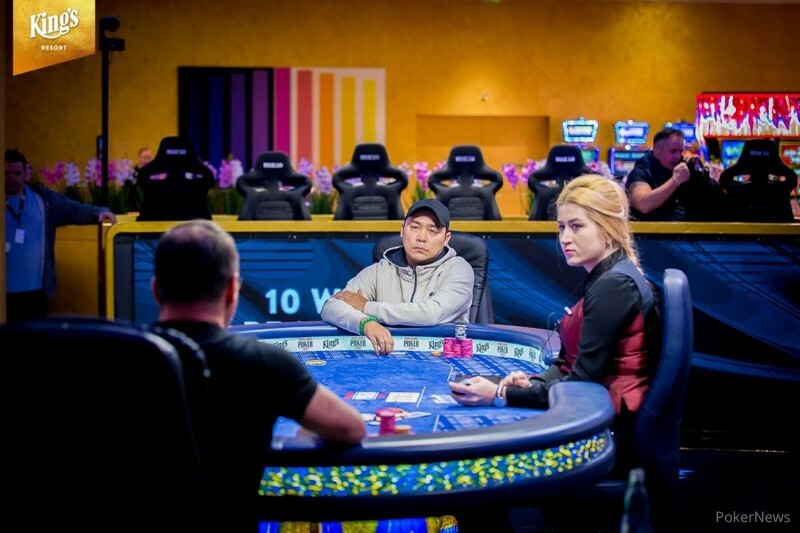 After a preflop raising war, Hanh Tran and Oleg Pavlyuchuk got their stacks in the middle again. This time, Tran was at risk for 1,940,000. Once again Tran was able to come out on top after the board ran out for queens and fives. Oleg Pavlyuchuk raised and reraised the first few hands to extend his lead. Hanh Tran was left with 1,390,000 and found a monster in , which he potted. Pavlyuchuk repotted with to get the rest of Tran's stack in. The flop gave Tran the superior two pair, the on the turn locked it up and the river was but a formality. After a slight delay, heads-up play is underway between Oleg Pavlyuchuk and Hanh Tran. As it was also the end of the level, the heads-up players take a 15-minute break before returning. In a limped pot in the blinds, 300,000 went in on the flop before Romain Lewis bet 475,000 on the turn. Oleg Pavlyuchuk call in position. On the river, Lewis shoved all in for 1,785,000 and Pavlyuchuk called after mere seconds. Pavlyuchuk's full house was best to eliminate Lewis in third place. The Frenchman added €25,473 to his lifetime winnings of over $1.5M.